Pierre Rolland says he's sorry for an attack that race leader Bradley Wiggins called "uncouth"
FOIX, France (VN) — One just doesn’t break The Rules. A breach of the unwritten, hallowed rules of cycling has earned Pierre Rolland scorn from the second that he attacked a field reeling from punctures caused by tacks thrown into the road. Rolland said he was sorry for attacking on the descent of the Péguère, claiming he didn’t know what had transpired behind him. The maillot jaune, however, isn’t so sure about all of that. It’s clear that Rolland, who has won a stage at this Tour already and sits in ninth overall, stood to benefit from taking time wherever he could. He did eventually sit up, after being called off by his team. 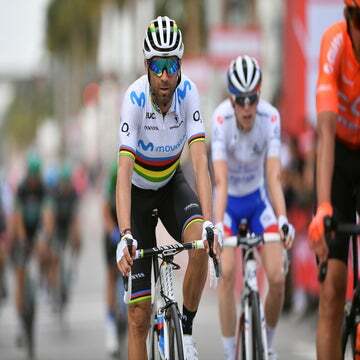 After the flurry of punctures, yellow jersey Bradley Wiggins called for the group of general classification contenders — including Rolland — to slow down. It was then that the Europcar rider drifted off the front. Wiggins said that only Rolland would know the truth, but that the yellow-jersey group had caught him once, and he attacked again. Cadel Evans, meanwhile, was chasing back frantically with his BMC train, his Tour de France on the rails. The breakaway was more than 15 minutes ahead at the time. Jim Ochowicz, BMC’s manager, said he would have “nothing” to say to Rolland on the subject. “He has to live with that,” Ochowicz said.